Much of the West has been carefully preserved in America’s national parks and monuments, enabling visitors to experience the same pristine natural beauty that greeted the first pioneers. 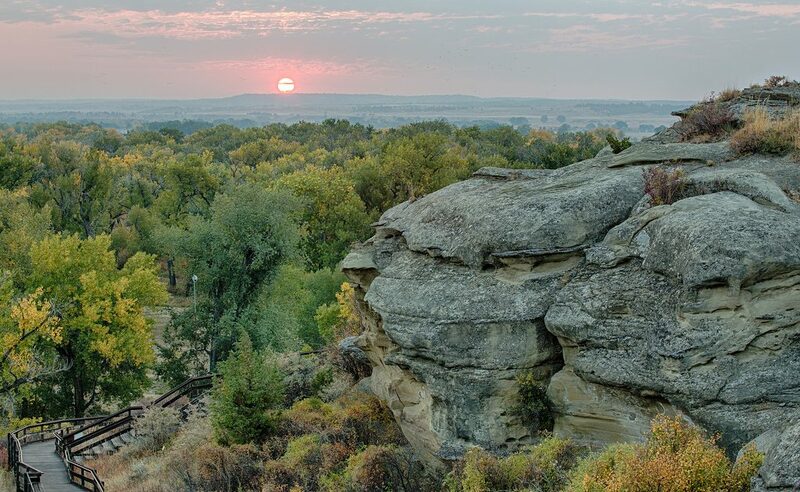 Go camping in North Dakota’s Theodore Roosevelt National Park. Take an unforgettable journey across the continental divide in Montana’s spectacular Glacier National Park. Marvel at the thermal wonders and abundant wildlife in Wyoming’s Yellowstone National Park – America’s first national park. Spend a day hiking through Craters of the Moon National Reserve in Idaho. Or visit South Dakota’s legendary Mount Rushmore National Memorial. Wherever your Western holiday takes you, there’s sure to be a national park, memorial or monument just waiting to be explored. Established in 1872, Yellowstone National Park is America’s first national park. Located in Wyoming, Montana and Idaho, it is home to a large variety of wildlife including grizzly bears, wolves, bison, and elk. Preserved within Yellowstone National Park are Old Faithful and a collection of the world’s most extraordinary geysers and hot springs, and the Grand Canyon of the Yellowstone. Since its designation as a national park in 1872, Yellowstone National Park has been a cherished part of the region’s rich tapestry. It’s easy to see why. The very definition of “unspoiled,” Yellowstone has served for generations as a sort of living museum, its natural splendors giving visitors an up-close-and-personal glimpse of what the continent was like in the days before recorded history. With 2.2 Million acres of sprawling wilderness to explore, Yellowstone stands as one of North America’s greatest assets — and it’s open year-round for visitors to enjoy. The park’s vast network of trails will take hikers to hundreds of secluded places where vehicles are prohibited. You’re bound to see wildlife wherever you go. Yellowstone’s legendary wildlife includes grizzly and black bears, gray wolves, buffalo, elk, pronghorn antelope, trumpeter swans, eagles and much more. The iconic spots — Old Faithful, Lower Falls, Yellowstone Lake — will be familiar from paintings and photographs, but seeing them in person is a humbling, enthralling experience. They’re not just as good as you’ve heard — they’re better. You can access the park from five entrances: two entrances from Wyoming and three from Montana. The east entrance is on highway 20 (also highways 14 and 16 at this point). Yellowstone Regional Airport is located about 50 miles away in Cody and has service from Salt Lake City and Denver. Vehicles can be rented in Cody as well. The south entrance is on highway 89 (also 191 and 287 at this point). This entrance is in Grand Teton National Park and is about 60 miles from Jackson. Jackson Hole Airport is located inside Grand Teton National Park and has service from several cities including Salt Lake City, Dallas/Fort Worth, Chicago, Atlanta and Denver. Vehicles can be rented in Jackson. The Montana community West Yellowstone serves as the western entrance to the park. Though comparatively quite during the winter, West Yellowstone booms in the spring when summer residents return and tourists come to visit Yellowstone National Park. Gardiner is located in southwest Montana, at the north entrance to Yellowstone National Park. Founded in 1880, Gardiner is a centre of activity for visitors to the region, serving as the original and only year round entrance to the Park. Year-round activities include hiking, fly-fishing, snowmobiling, whitewater rafting, cross-country skiing, dog sledding and horseback riding. The town was established in 1880 and began thriving as the park’s northern entrance. In 1903, on April 24, Theodore Roosevelt attended the ceremony to mark the placement of the cornerstone of the Roosevelt Arch, which was designed to act as the gate to the park’s northern entrance. Constructed of basalt, it stands 50 feet tall and 20 feet wide and is inscribed “For the Benefit and Enjoyment of All People”, a line from the congressional act that created the park. Cooke City and Silver Gate, Montana sits at the northeast entrance to the park. Cooke City is an alpine village with snow much of the year. It is perhaps most famous for the road that connects Cooke City with Red Lodge. Called “the most scenic drive in America”, the Beartooth Pass on U.S. Highway 212 has dramatic switchbacks traversing the spectacular Beartooth Range of south-central Montana. Silver Gate is located on the Montana/Wyoming border. Since 1932, Silver Gate has served as the gate to the park. 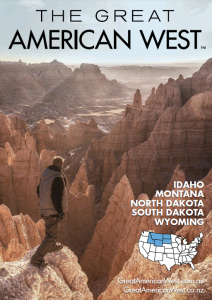 In the summer, visitors may select from eight locations within park boundaries with hotels and/or cabins including Yellowstone’s Canyon Lodge & Cabins, Grant Village, Lake Lodge Cabins, Lake Yellowstone Hotel & Cabins, Mammoth Hot Springs Hotel & Cabins, Old Faithful Inn, Old Faithful Lodge Cabins, and Roosevelt Lodge & Cabins. Amenities and dining options vary at each location. All park lodging is nonsmoking and rooms do not have televisions, radios, air conditioning or internet. Numerous sites are also available for tent and RV camping. The National Park Service provides resources, including videos and a trip planner, for both winter and summer backcountry excursions. Although the wildlife in Yellowstone National Park may seem tame, important safety rules should be followed at all times while in the park and will not diminish your enjoyment of the animals. Obey rangers and law enforcement officials immediately if they make a request. Remember to stay hydrated and to pace yourself while enjoying your high altitude nature experience. Weather in the region is unpredictable. During both the summer and winter seasons, be sure to bring plenty of layers so you can add and remove clothing as your own comfort dictates. Even at the height of summer, temperatures can drop to below freezing at night. Be sure to bring a warm, waterproof jacket and a hat. Plenty of socks to keep your feet warm and dry are also a good idea. Most roads into the park are closed in November and open again in late March or April, as conditions allow. Visitors can travel through the park in snow coaches or on snowmobiles with an authorized guide. Visitors may cross country ski or snowshoe in the park on miles of groomed trails, on any unplowed roads and in the backcountry. A backcountry use permit is required for all overnight trips. Contact a park ranger at a visitor center or ranger station before beginning a trip. Warming huts are available throughout the park. As the authorized concessioner in Yellowstone National Park, Xanterra Parks & Resorts will supply much of your food, lodging and entertainment options. Visit their website for more information. The majestic 60-foot (18 m) faces of four U.S. presidents gaze out over South Dakota’s Black Hills. Recognized worldwide, Mount Rushmore National Memorial, stands as a symbol of American democracy. This national treasure represents critical times in American history. From the Grandview Terrace, visitors get spectacular views of George Washington, Thomas Jefferson, Teddy Roosevelt and Abraham Lincoln. For a closer view, visitors can walk the half-mile (.8 km) Presidential Trail, which loops along the base of the mountain. The impressive Lincoln Borglum Museum contains interactive interpretive exhibits. Visitors discover why the four presidents were selected. They see how the mountain was carved, and they learn about sculptor Gutzon Borglum and the workers who brought Mount Rushmore to life. An evening lighting ceremony enthralls visitors. Glacier National Park, together with the Waterton Lakes National Park in Canada, form the world’s first International Peace Park. But in this rugged section of the northern Rockies, exhilaration is the universal language. Mountain goats cling to craggy, glacier carved peaks. Pie is served fresh daily in a small town. And drivers watch the scenery unfold beyond their knuckles as they drive along a road that defies words. The park was designated America’s 10th national park on May 11, 1910. If there’s one defining feature of this place it’s the engineering wonder known as the Going-to-the-Sun Road. This spectacular 50-mile highway clings to the edge of the world as cars—and bikes—cross over the Continental Divide at Logan Pass. Along the way, don’t be surprised if resident wildlife shares the road with you. After all, the same remote solitude you’re seeking is what attracted them here in the first place. Then unwind in a comfortable wooden chair at the Lake McDonald Lodge. As you pass through the gates and leave the park, you may also be a changed person. Inquire ahead of time as to the current status of the Going-to-the-Sun-Road because snow can often last well into June. Former President Theodore Roosevelt was big on conservation, and 100 years ago his efforts to preserve some of the nation’s natural beauty for all time led to the formation of the National Park Service. See what Roosevelt made all the fuss about by visiting Theodore Roosevelt National Park. The park within the North Dakota Badlands consists of the North, South and Elkhorn Ranch units. Make time to visit all three of the park’s unique units as all three are unique. Theodore Roosevelt National Park offers majestic Badlands scenery, abundant wildlife and all kinds of adventures of your own making. Roosevelt got his first glimpse or the wonders of this area as a young man. It didn’t take long for him to recognize the scenic beauty that surrounded him. He credits the time spent here as that which put him on the path to becomingpresident. The South Unit is along I-94 in western North Dakota. Here the Badlands have been shaped by millions of years of wind, rain, erosion, fire and the meandering Little Missouri River. The area was described in 1864 by Gen. Alfred Sully as “hell with the fires out.” The main access to the South Unit is through the historic town of Medora. Within the South Unit, a 36-mile scenic loop provides easy access to the many species of wildlife inhabiting this wilderness area. For a panorama of the Badlands, stop at Painted Canyon Visitors Center along the interstate and Take a long look at the Badlands stretching to the horizon. The North Unit, accessible from U.S. Highway 85 south of Watford City, has deeper gorges and is heavily forested in places. The beauty and allure of the North Unit draws visitors year-round for sweeping vistasof this designated wilderness. A 14-mile scenic byway through the park brings visitors up close to the bison herds wondering through the rugged terrain. The byway beginning at U.S. Highway 85 proceeds west through the North Unit. As 82 percent of the North Unit is designated wilderness area, you are likely to see buffalo herds and prairie dog towns, and you may catch a glimpse of wild horses, mule deer, elk and maybe even a coyote on your trip through the park. The Elkhorn Ranch Unit is the location of Roosevelt’s original ranch in the Badlands, located in between the two larger units. The remote location features interpretive plaques on the site to provide details of the ranch. Hiking trails abound in all three locations, including the renowned Maah Haah Hey Trail. Theodore Roosevelt National Park is open year-round. An ethereal mountain landscape where jagged peaks tower more than a mile above the Jackson Hole valley, Grand Teton National Park is located in northwestern Wyoming just south of Yellowstone National Park and just north of the town of Jackson. Visitors can reach the park through U.S. 191. The park’s mountain range is very popular among climbers, hikers and photographers. The Tetons are a prime example of fault-block mountain formation. When the earth’s crust cracked along a fault millions of years ago, the Tetons rose into the sky. The exposed crystalline rocks give these mountains their dramatic appearance in any season. The Grand Teton rises to 13,770 feet above sea level and 12 other peaks reach above 12,000 feet elevation. The floor of Jackson Hole tells the story of glacial outwash – sand and boulders carried out of the Teton Mountains and the Yellowstone Plateau by glaciers and deposited on the valley floor. Interesting saucer-like depressions, called potholes, dot the outwash plain. These are thought to be the result of huge chunks of buried glacial ice melting leaving the ground above suddenly without support. Sixty species of mammals, over 300 species of birds and a half dozen game fish call the Jackson Hole area home. The American elk (wapiti) is the most common member of the deer family in the park. During the summer, the elk range high in the mountains in search of food. When winter comes, they descend to the floor of Jackson Hole. Many migrate to the National Elk Refuge just north of the town of Jackson. Grand Teton National Park offers hiking, camping, climbing, boating, kayaking and numerous photography opportunities. A road winds through the park, but the best way to experience the park is to take one of its shorter trails. Located at the heart of the Greater Yellowstone Ecosystem, the Rockefeller Parkway connects Grand Teton and Yellowstone National Parks. The late conservationist and philanthropist John D. Rockefeller, Jr. made significant contributions to several national parks including Grand Teton, Acadia, Great Smoky Mountains, and Virgin Islands. In 1972 Congress dedicated a 24,000 acre parcel of land as John D. Rockefeller, Jr. Memorial Parkway to recognize his generosity and foresight. Congress also named the highway from the south boundary of Grand Teton to West Thumb in Yellowstone in honour of Rockefeller. The parkway provides a natural link between the two national parks and contains features characteristic of both areas. In the parkway, the Teton Range tapers to a gentle slope at its northern edge, while rocks born of volcanic flows from Yellowstone line the Snake River and form outcroppings scattered atop hills and ridges. Grand Teton National Park administers John D. Rockefeller, Jr. Memorial Parkway. Located in north-western Wyoming, Grand Teton National Park protects stunning mountain scenery and a diverse array of wildlife. Rising more than 7,000 feet above the valley of Jackson Hole, the Teton Range dominates the park’s skyline. Natural processes continue to shape the ecosystem against this impressive and iconic backdrop. The elevation of the park ranges from 6,400 feet on the sagebrush-dominated valley floor to 13,770 feet on the windswept granite summit of the Grand Teton. Between the summit and plain, forests carpet the mountainsides. During summer, wildflowers paint meadows in vivid colours. Crystalline alpine lakes fill glacial cirques, and noisy streams cascade down rocky canyons to larger lakes at the foot of the range. These lakes, impounded by glacial debris, mirror the mountains on calm days. Running north to south, the Snake River winds its way down the valley and across this amazing scene. Long, snowy, and bitterly cold winters make the climate of Jackson Hole unforgiving. The coldest temperature ever recorded in Grand Teton National Park was –63°F, and snow often blankets the landscape from early November to late April. Brief, relatively warm summers provide a respite from the rigors of winter and a time of renewal and rebirth. In cooperation or competition, the plants and animals adapt to this harsh climate and dramatic elevation change as each finds ways to survive. Millions of years of wind, water and erosion have created the chiseled spires, deep canyons and jagged buttes of Badlands National Park. On-going rains, freezes and thaws have revealed millions of years of sediment that paint a colorful landscape on the prairies of southwestern South Dakota. When the Lakota first encountered the striking, moon-like landscape, they aptly called the area “Mako Sica” or “bad land.” Early French trappers also described the area as “bad land” after difficult travels over the rugged terrain. Today, visitors to Badlands National Park can explore this natural wonder on foot, on horseback or by car as they travel the scenic loop or roam the many trails. Covering 244,000 acres, Badlands National Park is one of the largest protected mixed-grass prairies in the United States . The park, located south of Interstate 90 between Exits 110 and 131, is home to many species of wildlife including bighorn sheep, bison, the swift fox and the endangered black-footed ferret. Antelope and deer are commonly seen roaming near roadways and picnic areas. More than 64,000 acres of the park are designated as wilderness. Badlands National Park contains the world’s richest deposits of fossils from the Oligocene epoch. Paleontologists have uncovered the remains of ancient three-toed horses, tiny deer-like creatures, turtles, a saber-toothed cat and other prehistoric animals. Those seeking extreme adventure can wander through the wilderness or backcountry of Badlands National Park. Camping is available at two campgrounds in the park: Cedar Pass Campground and Sage Creek Campground. The jagged spires and buttes provide moderate to hard hikes along the miles of designated trails. Sturdy hiking shoes are strongly recommended to avoid injury. Approximately half of Badlands National Park lie within the Pine Ridge Indian Reservation and contain several sites that are considered sacred to the Oglala Lakota. The National Park Service and the tribe work closely together to co-manage and protect this part of the park, commonly known as the South Unit. This land, south of Highway 44, is mostly undeveloped and has only minimal access by road. During World War II, the South Unit area of Badlands National Park was used by the United States Military as a practice aerial bombing range. Despite cleanup efforts, the South Unit still contains some unexploded munitions. Visitors can also explore evidence of the Cold War at the Minuteman Missile National Historic Site located nearby. Devils Tower National Monument, which looms more than 1,200 feet above Wyoming’s eastern plains and the Belle Fourche River, is a one-of-a-kind natural wonder. The flat-topped volcanic formation is found amid some of the state’s most beautiful country, leaving you plenty to do after you behold its otherworldly presence. Check out the Devils Tower Visitor Center to learn more about the tower’s geology as well as the culture and history of the area through historical photos and other displays. The center is open year-round. Hike along eight miles of nature trails near the monument. The most popular is 1.3-mile paved circuit around the massive rock formation, while others wind in and around the surrounding forest and meadowlands. April, May and June are popular with wildflower lovers — nearly 60 varieties of wildflowers have been spotted in the area. Take a ranger-led tour of the monument. The easy 1.5-hour walk features topics that include geology, the area’s indigenous people, wildlife and more. Be sure to bring comfortable shoes and a water bottle. Visit during the summer for the National Park Service’s Summer Cultural Program to hear speakers on a variety of subjects. On select evenings, there’s also a Full Moon Walk that begins at dusk for hikers with flashlights. Climb it! The tower’s sheer rock faces and hundreds of columns and cracks are a siren song for climbers. All climbers must register with park authorities and check in after their climb. The tower closes to climbers during the month of June due to a voluntary climbing ban out of respect for American Indian traditional cultural activities that occur during that month. Local guides and outfitters can help you with any equipment and instruction you require. Fish in the Belle Fourche. Look for black bullhead, channel catfish and the area’s famed walleye. Be sure to check with the Wyoming Game and Fish Department for information on licensing and regulations. Go boating on nearby Keyhole Reservoir’s 14,000 wide-open acres and explore a few of its coves. Or, relax on its 50-plus miles of beautiful shoreline in Keyhole State Park. The marina can set you up with snacks, bait and tackle, fishing licenses and a public boat ramp. In 1906, Teddy Roosevelt named the tower the United States’ first national monument. Also known as Bears Lodge, the tower is considered a sacred worship site by many Native Americans who leave colourful prayer cloths tied to trees near its base (please don’t disturb them). “The Crossroads of a Nation Moving West.” This unique historic place preserves and interprets one of America’s most important locations in the history of westward expansion and Indian resistance. Fort Laramie, the first garrisoned post in Wyoming, is located adjacent to the town of Fort Laramie near the confluence of the North Platte and Laramie rivers. It was the most important outpost on the major emigrant trails – the Oregon, Mormon and California. The fort was named in honor of Jacques La Ramie, a French fur trapper who worked in the tributaries of the North Platte in the early 1800s. Between 1828 and 1867, Fort Union was the most important fur trade post on the Upper Missouri River. Here, the Assiniboine and six other Northern Plains Indian Tribes exchanged buffalo robes and smaller furs for goods from around the world, including cloth, guns, blankets, and beads. A bastion of peaceful coexistence, the post annually traded over 25,000 buffalo robes and $100,000 in merchandise. Earthlodge people hunted bison and other game, but were in essence farmers living in villages along the Missouri and its tributaries. The site was a major Native American trade center for hundreds of years prior to becoming an important market place for fur traders after 1750. Wyoming’s newest national monument, Fossil Butte, was established on October 23, 1972. It is administered and protected by the National Park Service. The monument contains 8,198 acres and protects a portion of the largest deposit of freshwater fish fossils in the world. The richest fossil fish deposits are found in multiple limestone layers, which lie some 100 feet below the top of the butte. The fossils represent several varieties of perch, as well as other freshwater genera and herring similar to those in modern oceans. A large, deep-bodied fish with many curious plates is common. Other fish such as paddlefish, garpike and stingray are also present. Jewel Cave National Monument is not only the second-longest cave in the world (currently 150 miles and counting! ), it is also one of its most structurally complex. Located just over an hour southwest of Rapid City, Jewel Cave is a regional gem tucked in the Black Hills of South Dakota. Exploration is ongoing in this pristine underground labyrinth, now the world’s second longest cave. Visit chambers decorated with calcite, nailhead and dogtooth spar crystals and other speleothems such as draperies, flowstone and stalactites. Pompeys Pillar is a rock outcropping that rises 200 feet above the Yellowstone River 30 miles east of Billings. Pompeys Pillar is like a sandstone history book that reads like a who’s who of western frontier history. Look on the rockface for the remains of animal drawings created by people who used the area for rendezvous, campsites, and hunting. In 1806 Captain William Clark carved his signature and the date in this rock. It is the only site on the trail where visible evidence of the Lewis and Clark Expedition may be viewed by the public. 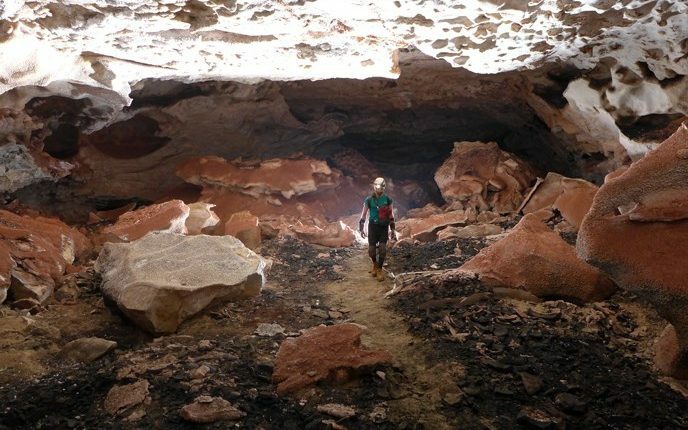 Caves are one of the Black Hills most mysterious and intriguing wonders. 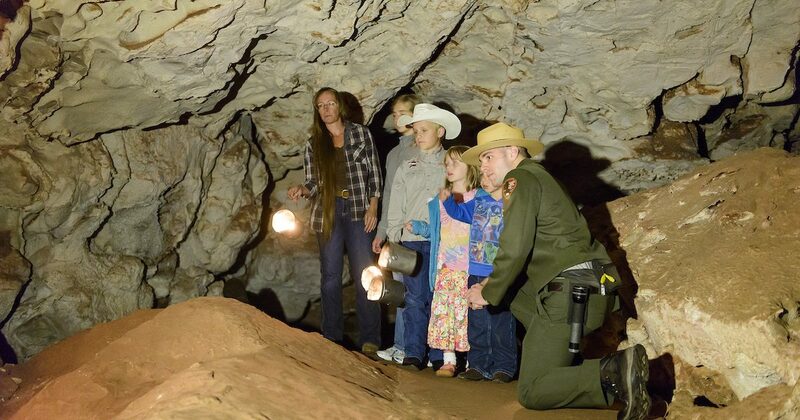 To do your exploring underground, visit Wind Cave National Park. Stretching more than 100 miles, Wind Cave is one of the longest caves in the world, and the first cave to be designated a national park. With a maze-like, underground chamber system, Wind Cave features the world’s largest concentration of box work, a rare formation of thin calcite fins that resemble honeycombs. Above ground, Wind Cave National Park includes a wildlife sanctuary of 28,295 acres for antelope, bison, elk, prairie dogs and other creatures to roam. Here, the ponderosa pine forest meets the rolling prairie, one of the last remaining mixed grassland areas in existence. The cave’s visitor centre is open daily except holidays. An admission fee is required to tour the cave. A list of tour options can be viewed at www.nps.gov/wica. This Limestone Cave in the scenic Black Hills of South Dakota is the 5th largest in the world and is decorated by beautiful rare box work formation and calcite crystal formations. The park’s mixed grass prairie displays an impressive array of wildlife including bison. These are the words Chief Henry Standing Bear wrote to sculptor Korczak Ziolkowski in 1939 urging him to visit the Black Hills and carve a mountain sculpture honouring American Indians. 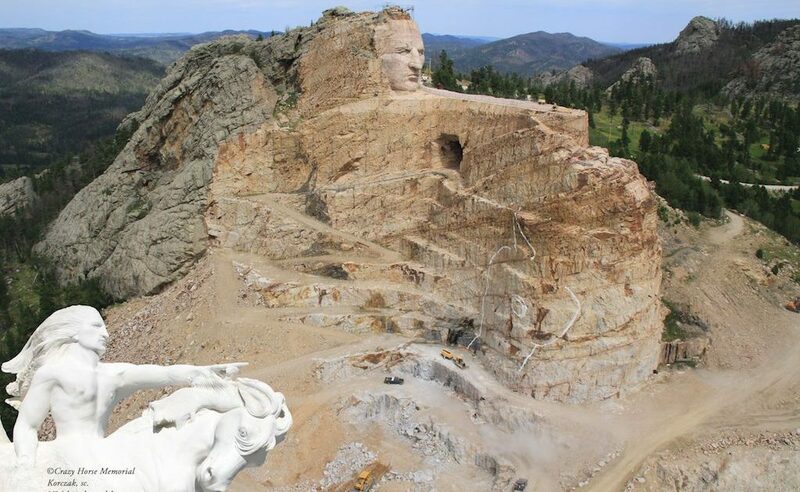 Fifty-five years after Ziolkowski began carving Crazy Horse Memorial, his family continues the dream and work progresses on the world’s largest mountain sculpture. When finished, Crazy Horse will stand 641 feet long and 563 feet high. The mix of rock formations, aspen groves and sage meadows create terrain and scenery ideal for a variety of activities, including climbing, hiking, camping, birding, horseback riding, mountain biking and photography. Traverse a landscape unlike any other at Craters of the Moon National Monument and Reserve. Spend a day hiking amongst the expanse of lava flows and exposed caves. Navigate through the volcanic remains via a loop drive or by taking the network of trails by foot. Come nightfall, cast your eyes to the sky for another astronomical wonder. Craters of the Moon National Monument and Preserve is a designated International Dark Sky Park, where limited light pollution preserves the night sky for pristine stargazing. Only a few hours from Yellowstone National Park, Craters of the Moon is a perfect fit to round out a trip of natural wonders.